Win a Florida Beach Vacation! Score a free beach escape to the Pensacola Bay Area! 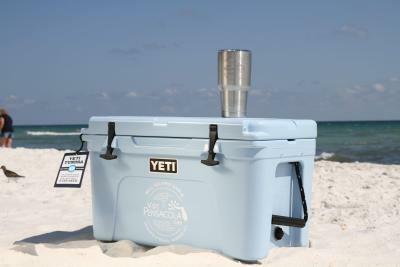 Enter to win a FREE beach vacation valued at over $2,000 including accommodations with Resort Quest on Pensacola Beach. Three nights, two-bedroom beach condo from Resort Quest. Have you ever visited Pensacola? Do you wish to receive our e-newsletter? Certain restrictions apply. Must be 25 years of age or older to qualify, and proof of age may be required at time of booking. This contest is void where prohibited or restricted by law. Hotel black-out dates may apply and should be confirmed at time of booking. Visit Pensacola is not responsible for guest satisfaction at participating properties, or for information technology glitches that may disrupt registration. Limited to one registration per household. Registration ends at 9:00am (CST) on 12/5/16 and any registrations received after that time will be null and void. Incomplete registrations will not be eligible. Winner will be notified by 12/12/16 by email/phone. Unclaimed travel vouchers will be forfeited if not claimed within 30 days. Other restrictions may apply. Entry into the Visit Pensacola Touchdown Contest constitutes complete permission to Visit Pensacola to use, edit or modify all submissions (including names, pictures, and likenesses) for marketing purposes at its sole discretion. Join a local fan club for a watch party. Our Thirsty Traveler’s Guide to the City of Five Flags. UWF Brings Division II Football to the Pensacola Bayfront. Fall is a great time to vist and catch some art, music, seafood, and more. Put these on your Things I Definitely Want to Do While I'm There list. Satisfy your itch for outdoor adventures with these ideas. Receive our free vacation planner in your mailbox in about two weeks.